Tate, Stanley O'Connor, 31, 13th July 1943, Royal Air force Volunteer Reserve, 467 Sqdn., 138889, Pilot Officer, Son of William Tate and of Maria Louisa Tate (nee O'Connor); husband of Doreen Alice Catherine Tate, of Dunmore, Co. Waterford, Republic of Ireland, RUNNYMEDE MEMORIAL, Panel 133. 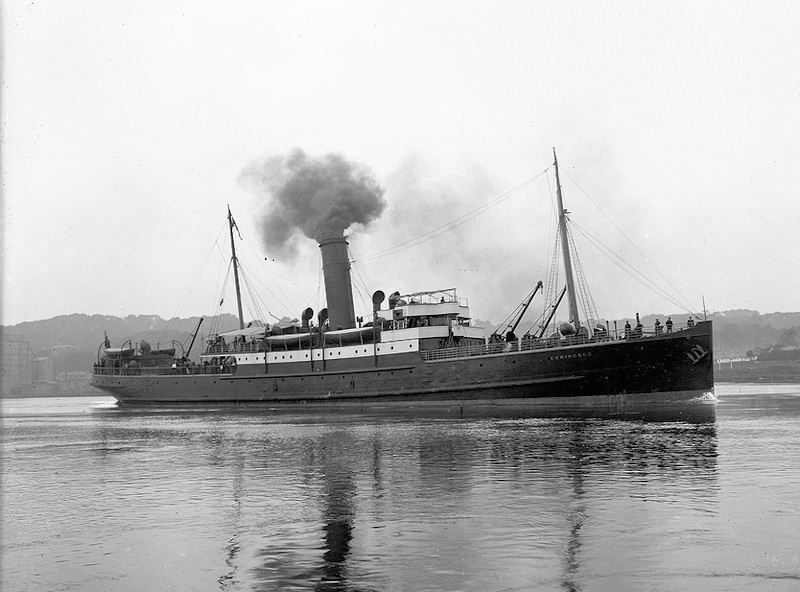 Taylor, Andrew Joseph, 23rd May 1941, Royl Naval Volunteer Reserve, H. M. S. Kelly, C/KX 89957, Leading Stoker, CHATHAM NAVAL MEMORIAL, 47.1. 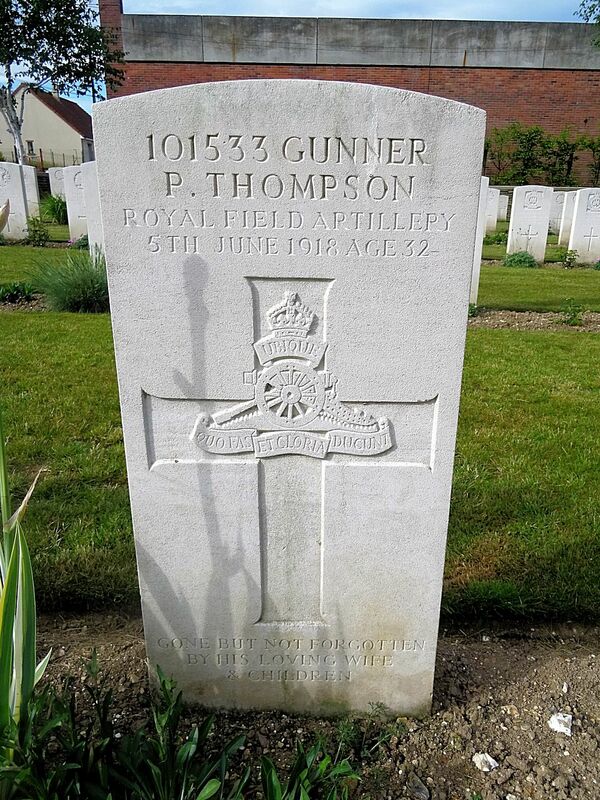 Thompson, J, 27, 6th September 1920, 2nd Bn. Royal Irish Regiment, 10716, Private, Son of Mrs. Ellen Thompson, of 10, Walshe's Lane, Waterford. 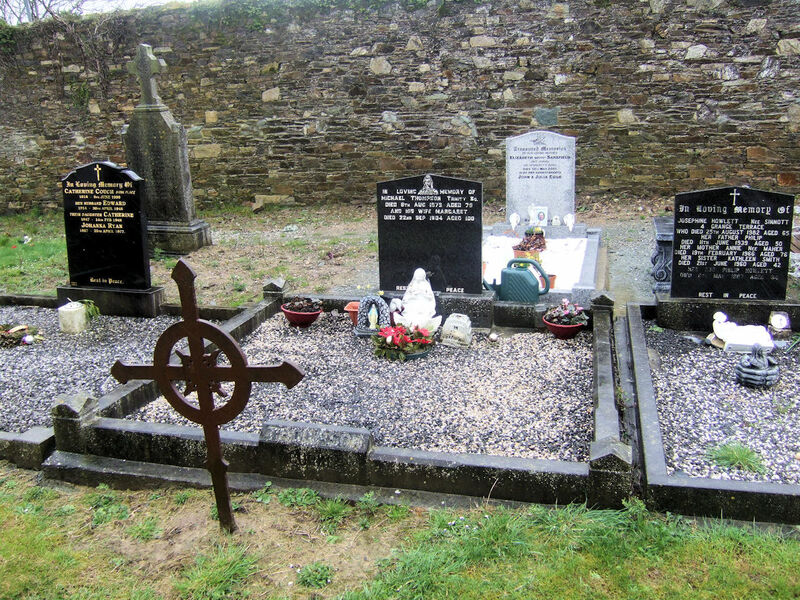 BALLYNANEASHAGH (ST. OTTERAN'S) CATHOLIC CEMETERY, S. B. 138. Tobin, Francis, 21st December 1916, 2nd Bn. 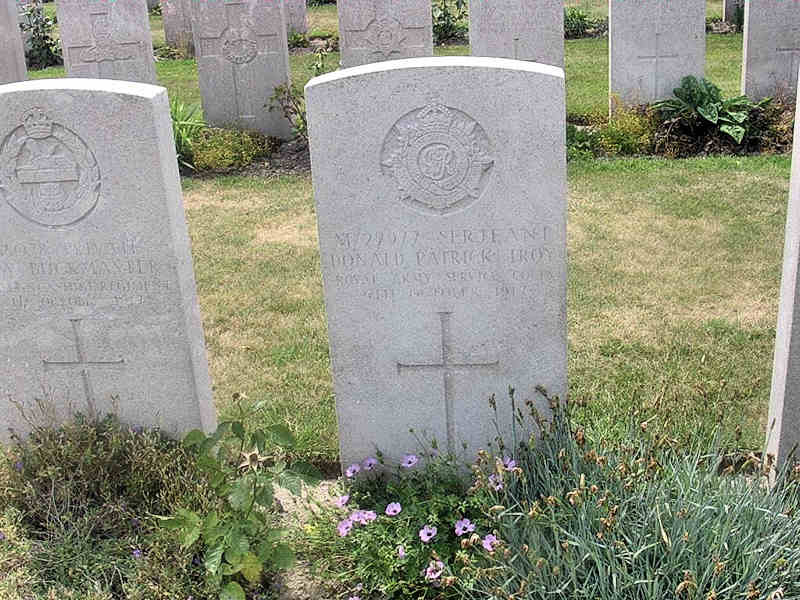 Royal Munster Fusiliers, 6917, Private, DERNANCOURT COMMUNAL CEMETERY EXTENSION, IV. E. 9. Tobin, John, 18th March 1915, 12th Bn. Royal Irish Regiment, 7281, Private, BAILLEUL COMMUNAL CEMETERY, NORD, J. 35. Toole, Andrew Brown, 15th September 1915, 7th Bn. Cameron Highlanders, S/13674, Private, LOOS MEMORIAL, Panel 119 to 124. 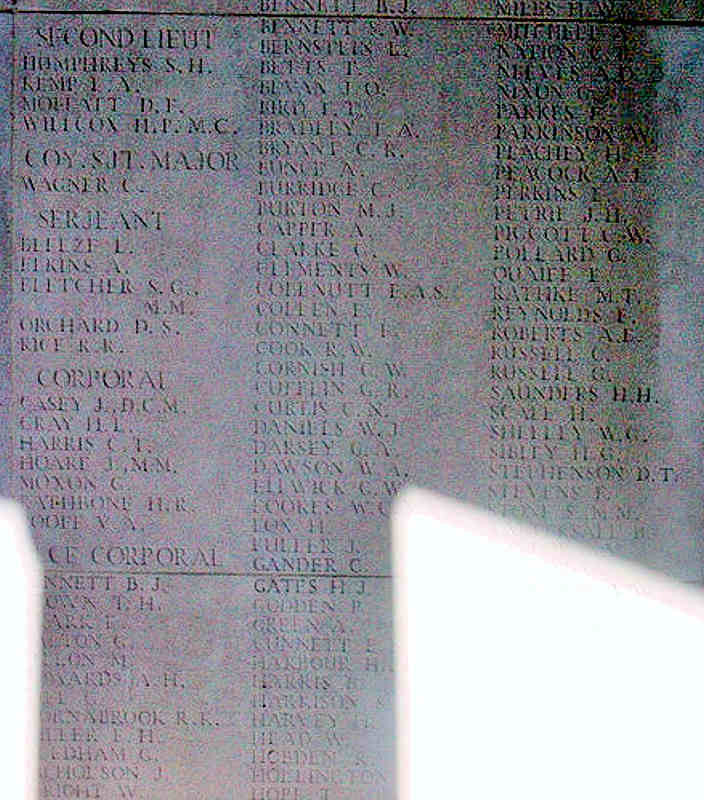 Toole, John, 28th January 1917, 109th Siege Bty. Royal Garrison Artillery, 2108, Serjeant, ST. SEVER CEMETERY EXTENSION, ROUEN, O. IV. F. 2. 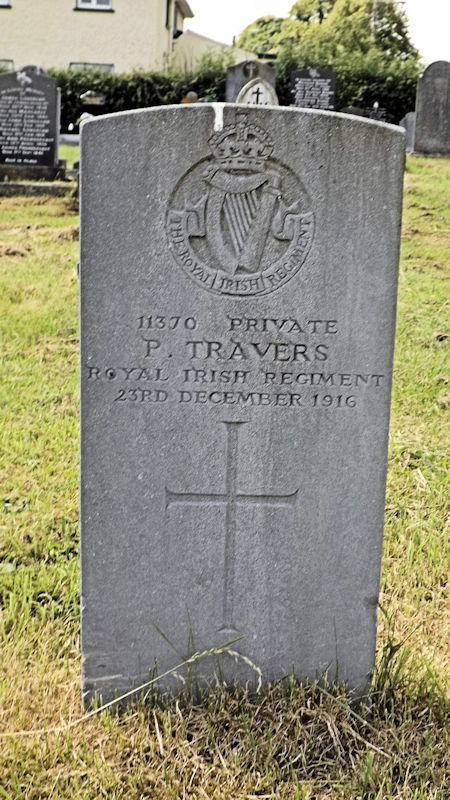 Travers, P, 23rd December 1916, Royal Irish Regiment, Depot, 11370, Private, CLONMEL (ST. PATRICKS) CEMETERY, 4. DA. 117. Troy, Donald Patrick, 25, 6th October 1917, 3rd Div. 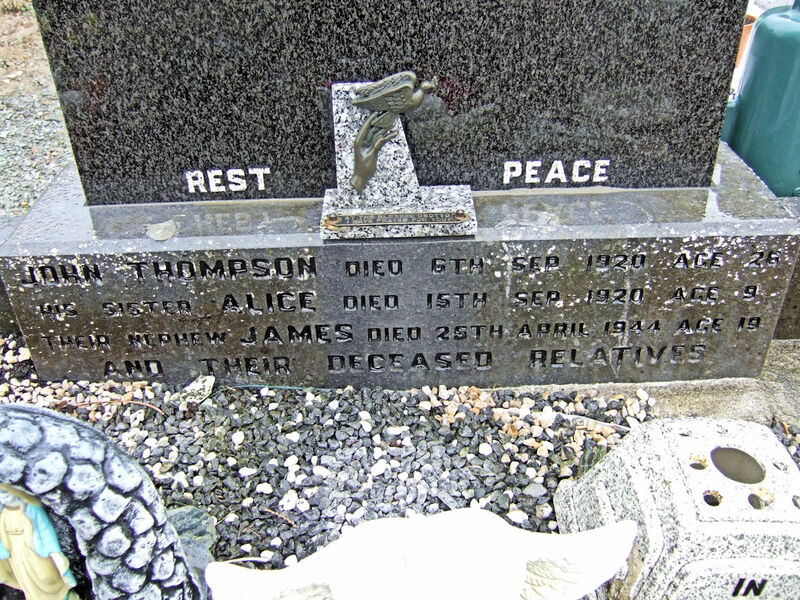 Ammunition Park, Army Service Corps, M/22977, Serjeant, Son of James and Annie Troy, of Portlaw, Co. Waterford. BRANDHOEK NEW MILITARY CEMETERY NO.3, I. K. 22. Tyler, George, 26th November 1917, 13th Bn. East Surrey Regiment, 30597, Private, CAMBRAI MEMORIAL, LOUVERVAL, Panel 6.